Stepping out of the car at Studford Luxury Lodges I felt like I’d been transported to a tranquil world thousands of miles away. With rolling countryside, tall willowy trees and greenery for as far as the eye could see almost immediately a feeling of peacefulness washed over me. I’d never stayed in a lodge before and I hadn’t been entirely sure what to expect but one thing is for sure… Studford Luxury Lodges exceeded all my expectations. 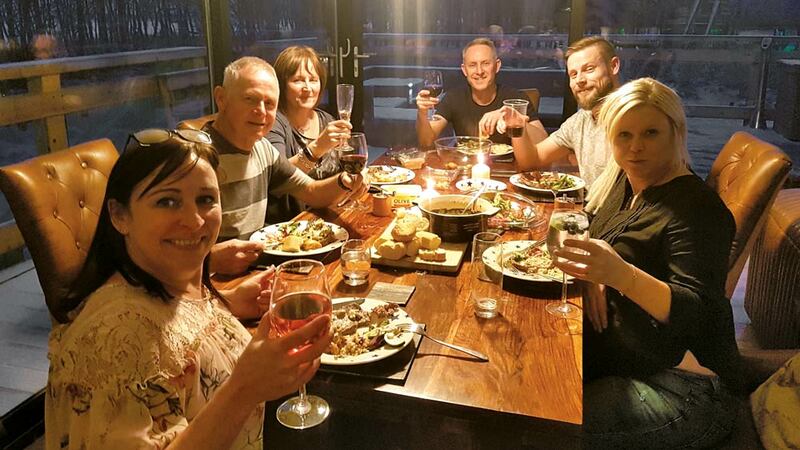 Situated between Helmsley and Ampleforth, Studford Luxury Lodges are set in a private forest in the North York Moors National Park. There are six lodges in total, each built on stilts and shrouded in luxury both inside and out… something told me that I’d feel very at home here for the weekend. 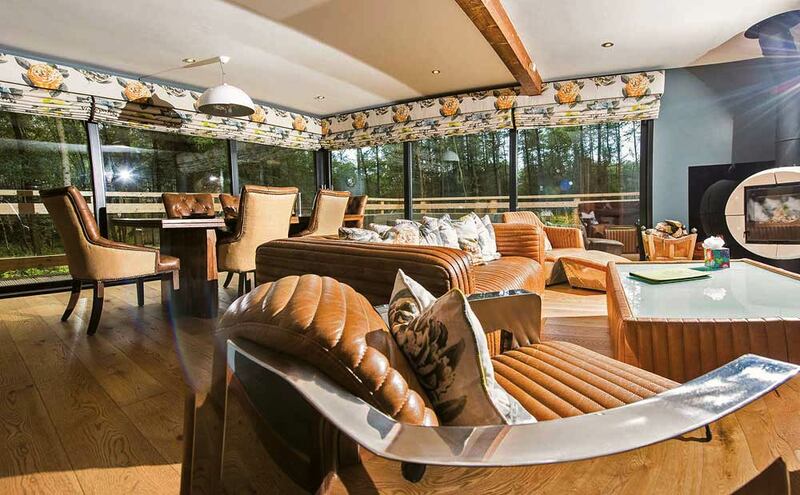 Inside, the lodges are spacious, airy and with a stylish combination of wooden and leather furniture the lodge has a true ‘ranch-like’ feel. The revolving wood burner keeps the lodge warm and cosy perfect for settling down after a busy day exploring. The kitchen is filled with everything you could ever need and sitting upon the counter is a welcome hamper brimming with local Yorkshire goodies. 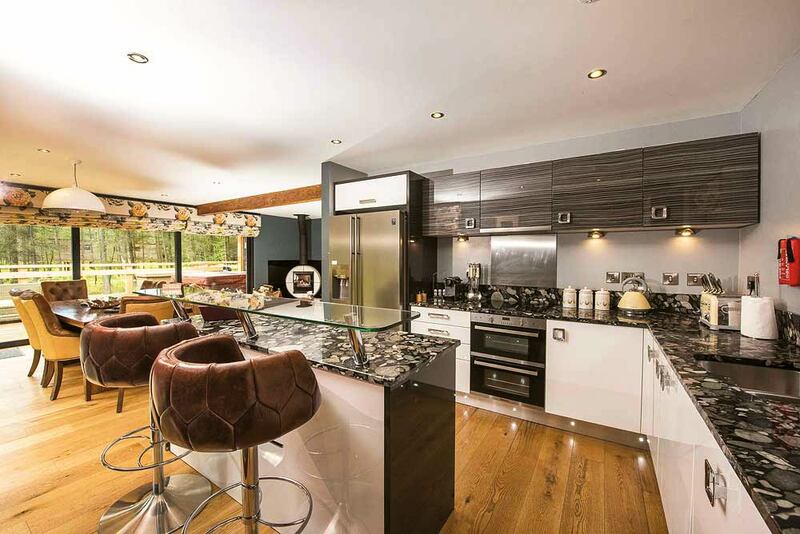 The three bedrooms, all en-suite, are beautifully presented with patio doors that overlook stunning forestry. At night, the only sounds you can hear is the occasional hoot-hoot of an owl or the rustling of the trees as the wind gently sway them and a chorus of birds acts as your morning wake up call. Outside, the lodges are just as exquisite with a large decking area perfect for spending lazy afternoons listening to the sounds of the forest. 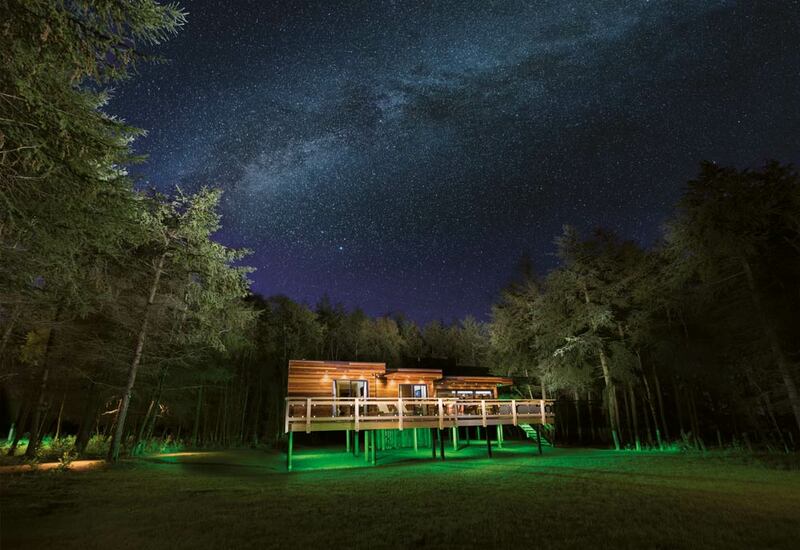 Each lodge also boasts a hot tub – the perfect place to spend the evenings gazing up at the clear night sky, basking in the serene atmosphere with a glass of Prosecco – the perfect romantic evening. However, it’s equally perfect for families, the children loved playing outside in the countryside pointing out the various trees, birds and animals they spotted as they did so. Later, the entire family once again relaxed in the hot tub before moving indoors to the sauna and eventually to the living room where we all lounged comfortably, happy to relax in the peaceful surroundings. On the final day, we explored the local area further. Donning our wellies and walking boots, we set out on a leisurely walk through the forest. The sights were simply stunning and the children loved getting out into the country and having the freedom to run around and explore the beauty of Yorkshire. I wish I could stay here forever shrouded in luxury, alas, the work at Northern Life never stops and so with a heavy heart it was time to say goodbye to the lodge. But one thing is for sure… the entire family has a lifetime of memories.